*I take that back, actually. Maryland's motto is "Manly deed, womanly words," and California's is simply "Eureka!" 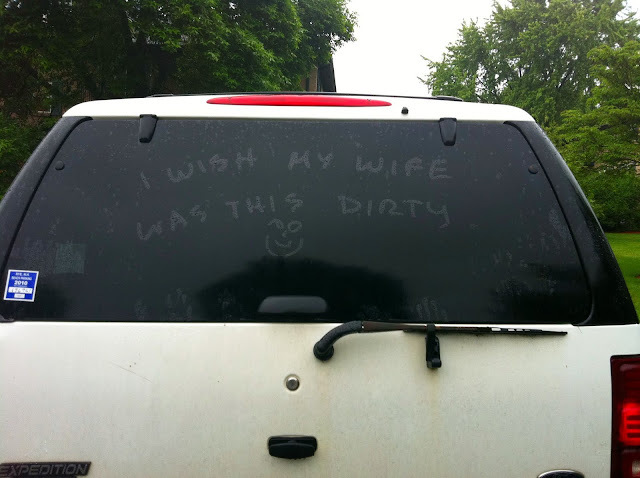 hahahaha i hope that's not the wife driving around in that suv without noticing! Ummm I've lived in Maryland my whole life and had no clue our motto was "Manly deed, womanly words." I don't even know what to make of that. HAHAHA, I love the first one. More than life!